Michael Morgan is a leader of McDermott Will & Emery’s Global Privacy and Cybersecurity practice. 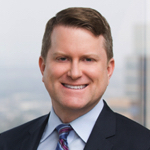 Recognized as one of the nation’s leading lawyers in cybersecurity, Mike has guided clients through some of the largest and most complex data breaches, breaches involving more than 50 million records and incidents affecting persons in over 100 countries around the world. He counsels clients on compliance with US and international regulations relating to cybersecurity and data privacy, including compliance with the EU’s General Data Protection Regulation and China’s Network Security Law. Mike has particular experience on complex legal issues arising from advanced technologies. He represents companies on privacy and cybersecurity issues arising from vehicle autonomy and connectivity and is an expert on the fast-changing regulatory environment relating to autonomous vehicles in the US and around the world. He also advises clients on matters relating to international data transfers (e.g. EU model clauses and Privacy Shield), cryptocurrency, e-commerce security, and blockchain applications. He represents clients in a range of industries, including financial services, big data, automotive, telecommunications, healthcare, insurance, and automotive. Over the course of his career, Mike has handled scores of privacy and cybersecurity-related cases, including more than one hundred lawsuits involving claims under the FCRA, UDAAP statutes and consumer protection statutes. He has defended against government investigations by the FTC, CFPB, FCC and state attorneys general. Mike is a Certified Information Privacy Professional (CIPP/US) by the International Association of Privacy Professionals (IAPP).